In your Single's life nothing will change today. But you will meet a friendly elder man, with him you can talk about your problem, still being a single. He is wise and he will help you. If you are a man, take care that today you not push yourself to the fore. 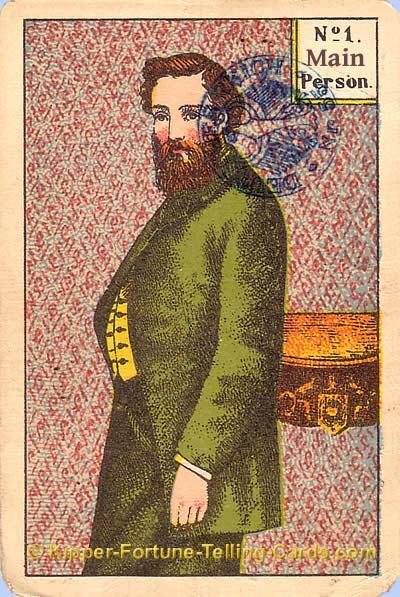 All Fortune Telling Cards next to the male main person shows things or properties that are now important and directly relevant to the main person male. If you are a woman, this card means that today you will be very close to the man of your heart. Today you will get a call or an email from him.